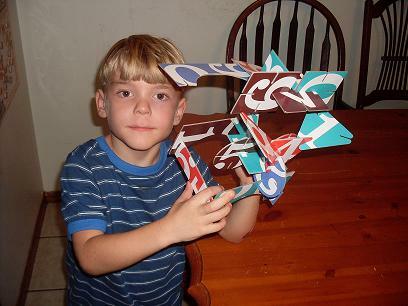 I am always seeking quality, educational and fun toys for my three young children. Yes, I know this may seem like a tall order but not since I found Mudpuppy which offers an amazing assortment of award winning puzzles, toys and gifts for children. 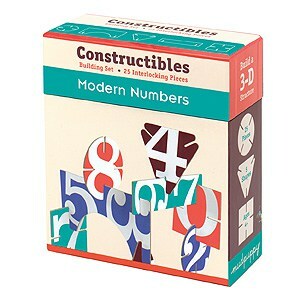 I recently received the Modern Numbers Constructibles Building Set which includes 25 interlocking pieces made out of recycled greyboard. My 5 year old son is the builder in our family just like his father. It is amazing to watch him use his imagination to create his own “masterpieces.” For quiet time, the kids requested to play with their Constructibles building set for the first time. Even though this set is recommended for 4+up, my soon to be 3 and 4 year olds were engaged for well over 30 minutes. My five year old did not want to stop building and in one evening created a jet, a combine tractor and a house. He has asked non-stop for the past five days to continue building and giggles with excitement when I let him play with the set, clapping his hands and jumping up and down. 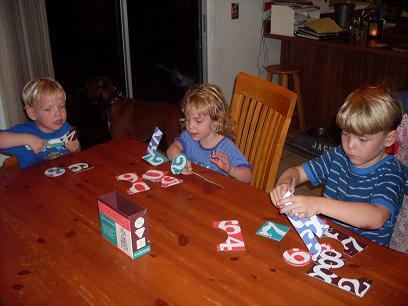 The Constructibles set is very sturdy and has stood up to lots of play with three young children. It stores very easily in the handy box and does not take up a lot of space. I also appreciate that it is made with non-toxic inks and is tested for safety. In fact, it won the “Parenting Outstanding Products Award.” The only problem that I had with this set is that my children were battling over who gets the most pieces to build with…..I definitely anticipate Santa will need to bring another set over the holidays so that there can be peace and harmony once again. To purchase the Constructibles building set or to check out all of the award winning toys go to www.mudpuppy.com. For a limited time, Simply Stacie readers can enjoy an exclusive discount of 15% off any order from the Mudpuppy/Galison website. Use coupon code “zzz2” at checkout to receive the discount. I would like to try the 65 Years of Little Golden Books. I follow Mudpuppy on Twitter. I Like Mudpuppy on Facebook. I follow Simply Stacie on Networked Blogs. I like the Captain’s Log Diary! I like the Pirates Oversize Playing Cards. I folow you on GFC. I think my six year old brother would adore playing with the Pirates Magnetic Set.